West Indies squad that will take on hosts India during October-November for a full-fledged series that consists of two Tests, five ODIs and three T20Is. For Virat Kohli's men It will be an important series for India ahead of the tour of Australia in 2018-19. India will participate in the Asia Cup to be held in UAE, prior to the tour of Australia. WestIndies batsman Devon Smith failed to seal the spot in the 15-member West Indies squad that will take on hosts India in the two-Test series starting October 4. 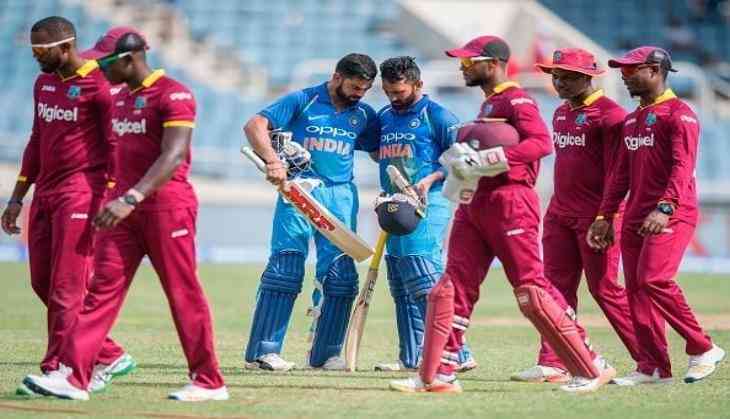 The chairman of selectors, Courtney Browne cited that “The panel welcomes back Sunil Ambris who missed the last couple of series due to injury, along with Jomel Warrican who adds a second spin bowling option to the attack", as per reported in Indian Express. Jason Holder (c), Sunil Ambris, Devendra Bishoo, Kraigg Brathwaite, Roston Chase, Shane Dowrich, Shannon Gabriel, Jahmar Hamilton, Shimron Hetmyer, Shai Hope, Alzarri Joseph, Keemo Paul, Kieran Powell, Kemar Roach, Jomel Warrican.